On Saturday, April 6, I will be at Shasta Wildlife Rescue for their 13th annual SWRR Run for The Wild held together with the Open House and Baby Shower. At Anderson River Park, in Anderson, CA. 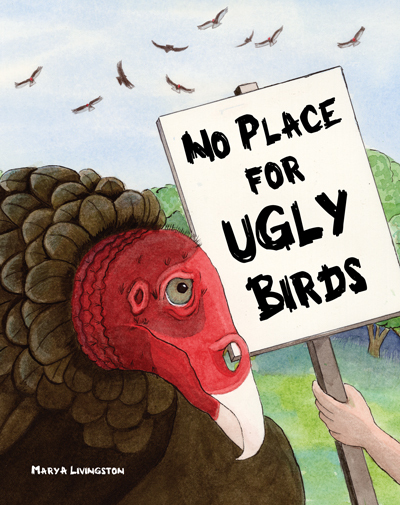 Be sure to see “Sunny” the turkey vulture, their very own Ugly Bird ambassador. Sunny was kind enough to show me how a turkey vulture moved and held itself. This entry was posted in Nature, Nature Art, Picture Books, Turkey Vultures and tagged vultures, wildlife, wildlife rescue by MaryALivingston. Bookmark the permalink. Wonderful painting of the turkey vulture. You really made that bird look good. sounds like a fun event, and the painting is fun as well! Love the painting of the turkey vulture!!!! !